Have you ever noticed that a strawberry is heart-shaped? It's true! And when you slice one vertically, you can see the heart even more clearly. Also, they're red! How perfect for Valentine's Day! 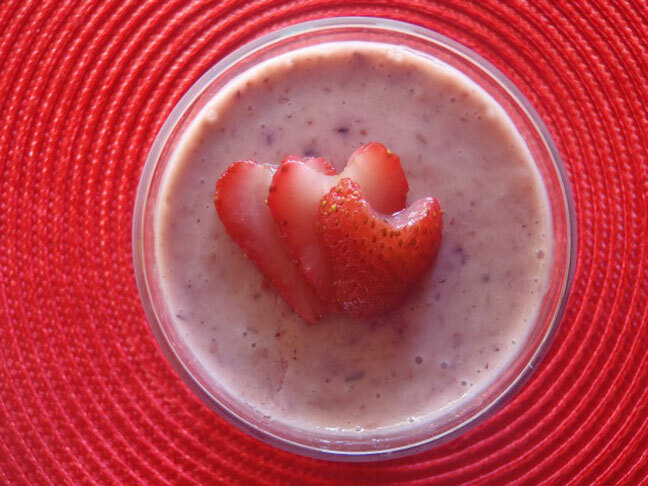 A sliced, heart-shaped strawberry makes for a beautiful presentation on this super healthy smoothie. What a perfect way to start Valentine's Day. 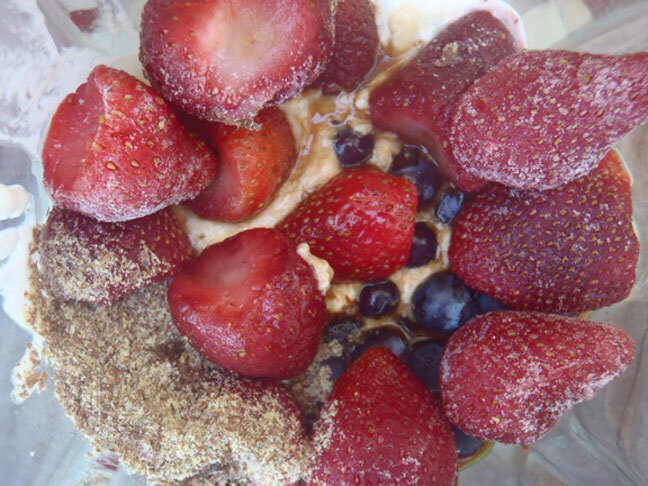 . . a serving of fruit, dairy, Omega-3 fatty acids, and of course, a little love! Put everything into the blender and puree until smooth. 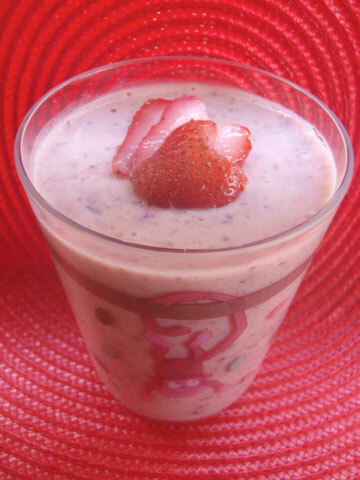 Core the fresh strawberries, slice them vertically, and fan them out on top of each smoothie.